In late February and early March, 70 4th graders in Trenton’s Gregory School received brand new Chromebooks for use in school and at home courtesy of the George H and Estelle M Sands Foundation and Deborah Sands Gartenberg. The Chromebooks will help provide the tools necessary for students to succeed and access programs to help them further develop math and literacy skills. 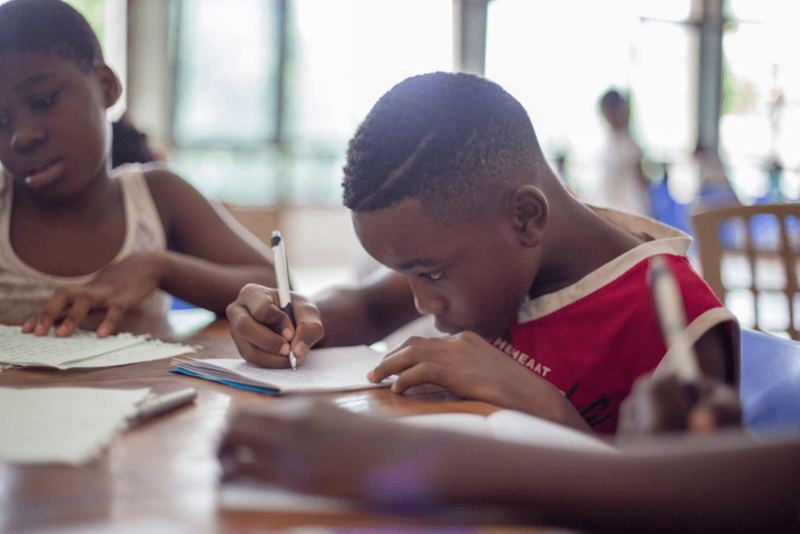 Before receiving the Chromebooks, students had to sign a contract promising to use the tool and for its intended purpose and to take accountability. Usage and progress on various academic programs will be monitored by the school’s principal and support staff. Students who meet satisfactory progress will also be able to keep the Chromebooks over the summer months. This initiative is just one of many occurring at Trenton’s Gregory School that is becoming a center for child & family achievement. Wanda Webster Stansbury started the Center for Child and Family Achievement five years ago after working as consultant at Management Interventions Consulting and transitional director for a Trenton Head Start from November 2013 to June 2014. During this time, she and her team conducted a needs assessment that found students were missing three critical components conducive to success and academic achievement. These components were: parent engagement, literacy, and tools necessary for success. Working with the Gregory School as a pilot for their program, the organization began working on addressing these issues. A recent “Parent Cafe” event promoting parent engagement. 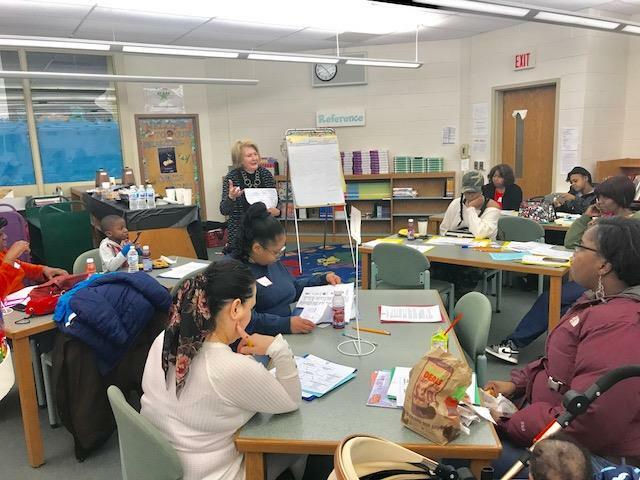 To enhance parent engagement, the program focuses on having students and parents learning and achieving together by setting goals and creating communities of success. When the students received their new Chromebooks the parents came as well for an orientation and introduction on how to best use this new tool. A recent book fair for students. The organization has a large scale “Read to Achieve” program to tackle literacy. 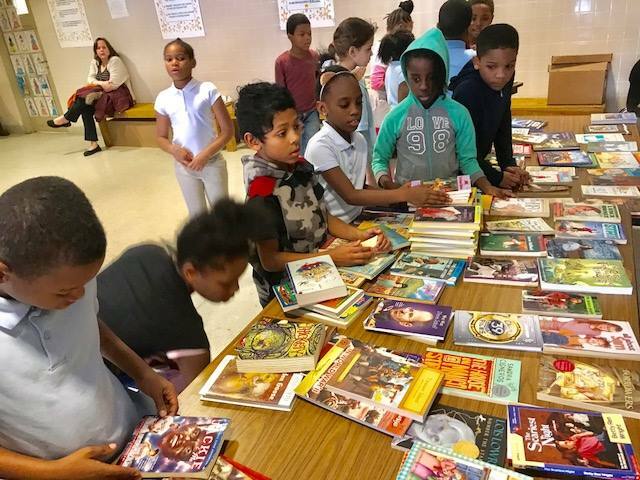 Read to Achieve had led to the distribution of over 40,000 books being placed in students’ personal home libraries in just the past four years. Books are often distributed as parts of holidays and before school breaks. This idea started after Wanda held the first “Literacy Village” in Cadwalader Park in 2014. Also, as part of “Read Across America Day” honoring Dr. Seuss students in grades K-2, welcomed guest readers and every student received a new Dr. Seuss book and students in grades 3-5 picked out books from a mobile library. The Gregory School is currently gearing up to host their 5th annual big book festival featuring events, activities, and of course books, as students will select 6-10 books to add to their own libraries for the summer. A student and his mother receiving a new Chromebook and signing the contract. The final component is having a toolkit to achieve success and close the achievement gap. In lower income communities access to technology is often limited and students have less resources to achieve success. This is where the Chromebooks have come in to utilize technology as a powerful tool. 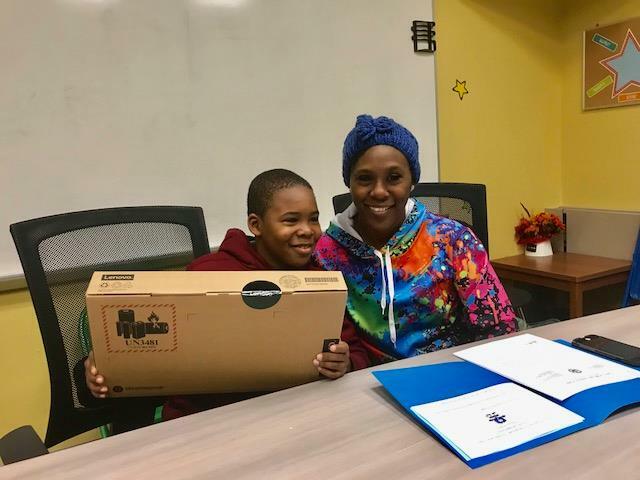 The recent initiative to distribute 70 Chromebooks to 4th graders, and eventually to all the 4th graders, is actually the fourth such initiative accomplished by the Center for Child & Family Achievement. The first happened a few years ago when students participated in a homework clinic and received laptops at graduation that would stay with them throughout their time in school. The second was a partnership in 2017 between the organization and Trenton Digitial Initiative to place 50 computers in the homes of 50 students. The third happened in Spring 2018 as all of the school’s 84 1st graders returned from winter break with brand new Chromebooks that wil follow them throughout their time in school. This has all led to the most recent initiative placing 70 new Chromebooks in the hands of the school’s 4th graders. The Chromebooks help the students learn to use technology as a tool in their education, access literacy and math programs to foster development of these skills, as well as building a sense of self-worth and confidence by equipping these students with the same tools as some of their more affluent peers. The Center for Child and Family Achievement is also showing an exciting spirit of collaboration with the Gregory School and Trenton Public School District. The organization has worked closely with the previous and new principal at the Gregory School along with Jacquelyn Rice from the school who serves as the site liaison. They believe that parents and children can learn together. That they can inspire families to develop a stronger academic achievement in children living in poverty from Kindergarten through High School graduation, by addressing the total needs of the family. The achievement gap can and will be closed. The work mentioned represents just some of the many programs implemented by the organization. To learn more about the Center for Child and Family Achievement and the amazing work they are doing to ensure children and parents achieve success like them on Facebook at https://www.facebook.com/ccfatrenton/ and visit them online at www.ccfatrenton.org.